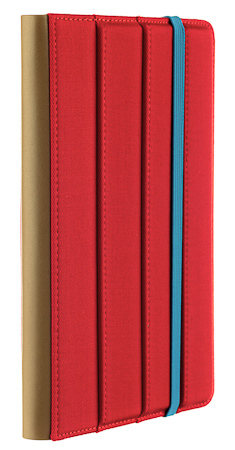 Make a bold statement with the bright and retro-inspired colors of the Trip Case! Lightweight and compact, this case is designed with both style and practicality in mind. Fits original Nexus 7 only. 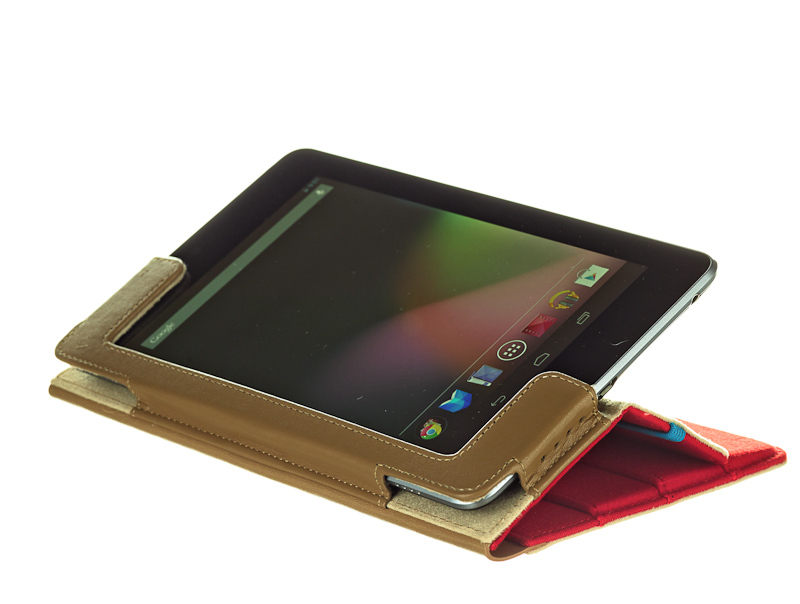 M-Edge Trip Case … I have a Nexus 7 tablet that has a pretty sturdy frame, but I wanted better protection for it, both from scratching and from drops. I received for review the Trip case from M-Edge for my tablet. It’s really nice! The cover is fabric, while the interior is microsuede. The cover is a bright red fabric the company calls twill. 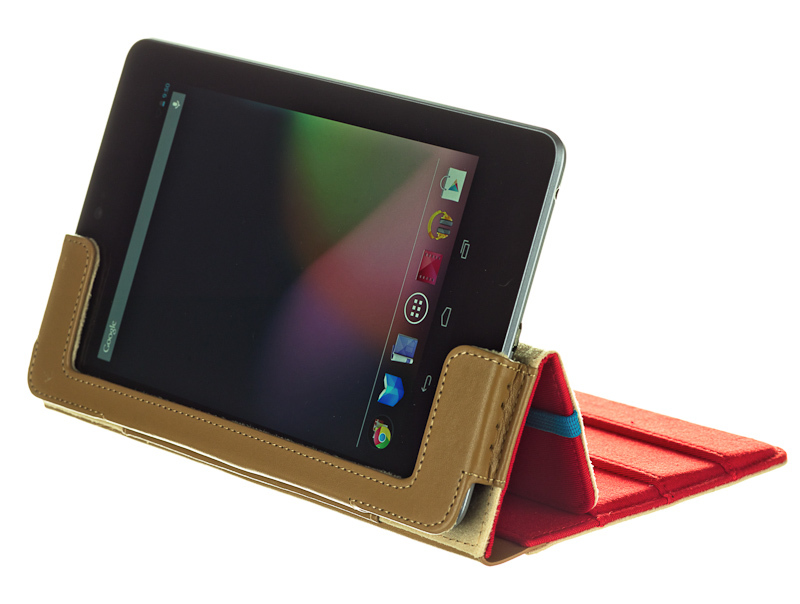 It’s a very sturdy material that will last for years, probably longer than the Nexus 7! The company says the fabric is treated with Scotchguard It is pleated on the front, so as to provide a support for the back when folded around. 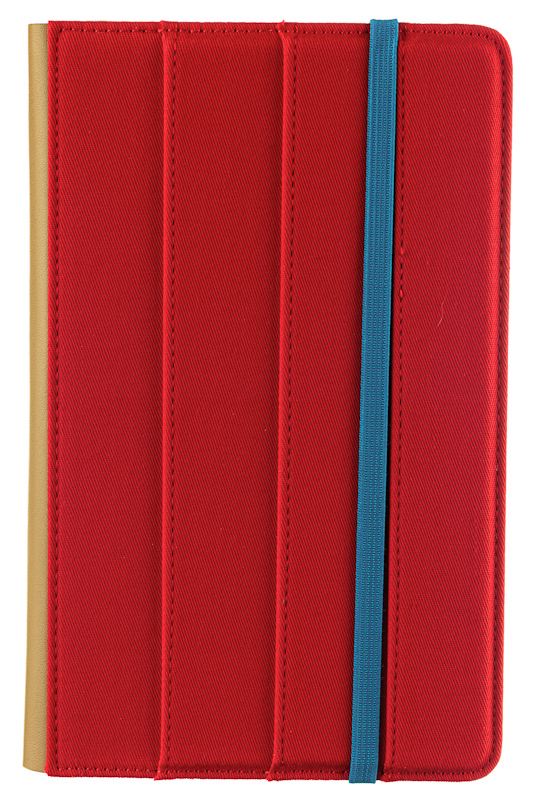 The back is notched about half of its width, which is used with the front to provide an upright or slanted stand for the tablet. On the interior there is firm leather binding to hold the tablet in place. 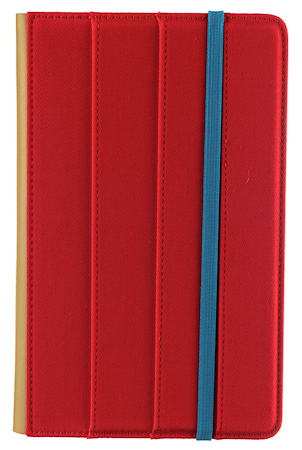 The whole case is fastened with a blue elastic strap that keeps the front cover from opening. One feature that’s unique is the automatic hibernating when the cover is closed. There is no mechanism to do this, rather, the tablet “sleeps” when the cover is closed. 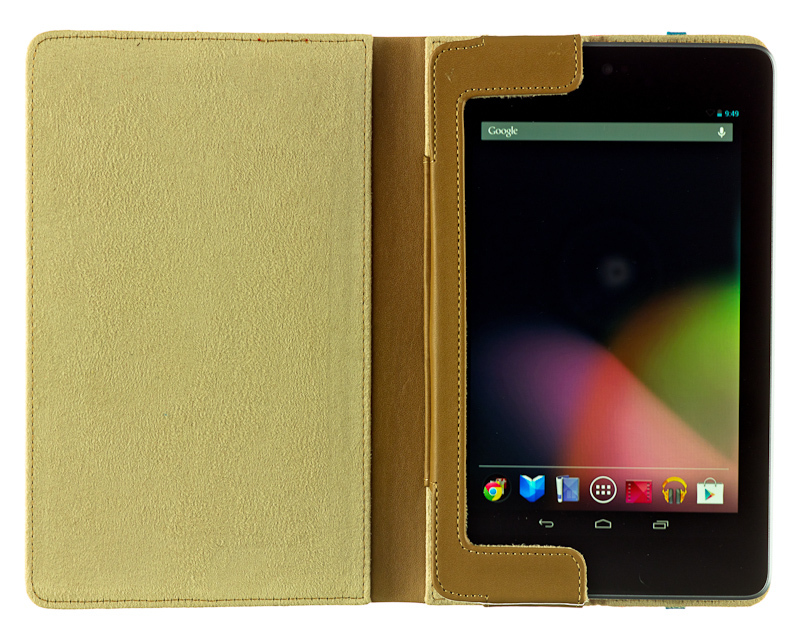 There are few buttons on the Nexus 7, but each is easily available in the Trip Case. This is a very nice product which fits my tablet perfectly and protects it against the foibles of my mishandling, should that occur. I highly recommend it.